The violence portrayed by cartoons was a rallying point for many advocacy groups who decried the value of animated programming. The largest, and perhaps most well known of these, Action for Children's Television (now defunct), worked to reduce the number of commercials in these programs and raise the educational content. The group's efforts ultimately led to the creation of the Children's Television Act and stricter FCC content regulations. Despite this, it strikes me that these cartoons were some of the earliest exposure I received to science and technology. Yes, there was violence—evil doers tend to have impressive arsenals, and there is perhaps something sinister about the way Road Runner tormented Wile E. Coyote—but I'd argue that there was also reasoning and rockets and experiments. For example, let's consider some of the characters from the list above. Donatello was a geek and a Maker, developing vehicles and communications devices. And as intimidating as the Technodrome is, it was a mechanical marvel: the ultimate all terrain vehicle, imagine what would have happened had the Turtles not been able to deactivate it on time. Egon was a scientist! He built proton packs and an ectoplasmic containment unit to keep New York City safe from wayward spirits. 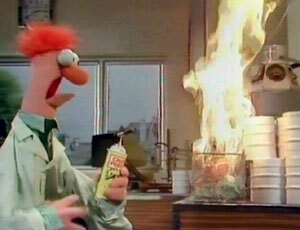 Beaker and Dr. Bunsen demonstrated that science is not infallible—experiments go wrong, but you shouldn't give up! And they did this even as babies! 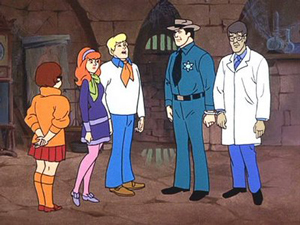 Scooby Doo, the Pink Panther and Inspector Gadget championed deductive reasoning (though in the latter two cases, the heroes tended to have a little help). Red herrings were no match for cool logic when Scooby and the gang were on the case. Darkwing Duck, Ironman, Batman were Makers in their own right. And even the Gummi Bears could teach about pharmacology—what exactly went into that Gummiberry Juice? The gang wraps up a case. © Warner Bros. The issue with these examples is not that science and technology weren't present as opportunities for education in animated programming, but that perhaps there weren't more female characters who played these roles. Janine could have been a Ghostbuster: she was unflappable to my memory. And with a friend like Velma, Daphne probably didn't need to find herself in so many "save me" situations. The foundation for April to be a strong female lead was laid in the comics, but she also falls into the damsel-in-distress category fairly often. Cartoons today are meant to better address these sorts of concerns, and deliver a whopping educational punch. Dora the Explorer is a fine example of this. The eponymous lead is adventurous and inquisitive, though perhaps someone should tell her that, in general, monkeys don't make good pets. And it would be nice if Phineas and Ferb got Isabella involved more from the onset, instead of just adding her to their plot, but I suppose we'll get there one day. Saturday morning cartoons weren't simply done in by the advocacy groups—the market changed: my nieces and nephews seem more interested in the teen dramas of the Disney Channel and outgrew cartoons fairly quickly. Perhaps the changes to the programming have made them too targeted—Dora can't grow with you, whereas the older cartoons that I remember seemed to do just that. I don't necessarily have the answer, but I do know that those instances, when there seemed to be no limit to what science and technology could do, have certainly stayed with me. Very interesting. 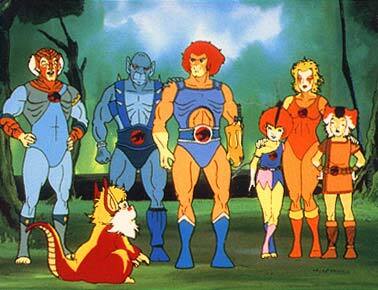 I never really considered if or how I was influenced by cartoons to choose science/engineering as a field. I remember watching Inspector Gadget. I didn't care all that much for the main character, but I liked Penny. It was the first time that I ever saw a notebook computer. Remember that book she carried around that was actually a computer? I always thought that was awesome. I watched Robocop (the cartoon first) and then the movie (with parental permission, of course) and emulated the robot's programming on our family's ancient IBM pc. What really got to me the most was Ghostbusters. I was absolutely obsessed with Egon. I used to 'make' proton packs in the basement. I would figure out ways to trap ghosts. In my eyes there was no cooler profession than scientist. So, even though I hadn't really thought about it, I was surely influenced by cartoons as I chose my field of study in high school and college. I hope that we can continue to produce characters that inspire today's kids to work in the sciences. Thanks for sharing, Will. Rereading this post today, I realize that there is something to be said here about children being impressionable and the impact of violence on developing minds, but I'm glad to note that these characters were also inspiring in a different way.